The Sozein Trust takes very seriously the care of personal data it holds. For full details of the steps it takes to protect personal information, please refer to the Privacy Statement. From the NORTH come off the M1 (J28) onto the A38, southwards. After 11 miles take the turn off for Kilburn. At the traffic lights turn right on to the A609 through to Horsley Woodhouse. From the SOUTH come off the M1 (J26) onto the A610 towards Eastwood. Turn left onto the A608. Go through Heanor towards Derby. 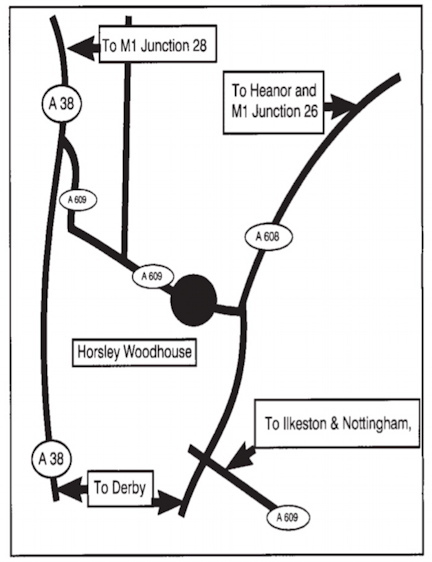 After 2 miles, turn right onto the A609 through to Horsley Woodhouse. From DERBY along the A38 take the Kilburn turn off, about 4 miles north of Derby. Turn right and go to the traffic lights. Turn right onto the A609 through to Horsley Woodhouse. Sozein is next door to the Parish Church. Healing is God’s ceaseless work. Endlessly he desires our wholeness, our perfection in love. The Sozein Trust is situated in pleasant countryside. A rural Derbyshire charity with the desire to serve God, and love him, by welcoming those who come here. It seeks to serve people who are poorly: physically, mentally or spiritually. We endeavour to maintain the house and grounds in an atmosphere of quiet, prayer and hospitality. Our Peace garden is a delight. We extend hospitality, a listening ear and hope. Prayer and sacraments are offered. An attitude of quietness and confidence in God, brings or begins healing in all kinds of ways, some dramatic, some very gentle and gradual. The good Lord gives his gifts of forgiveness and healing. 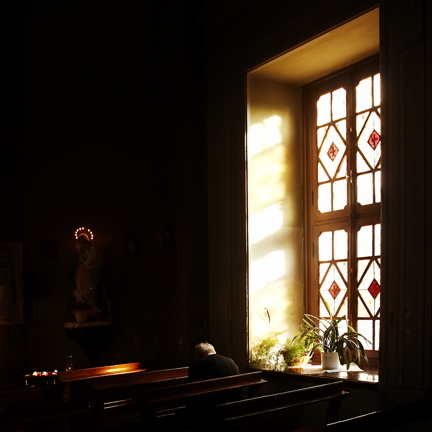 Folk lay and ordained, singly and in groups come for rest, for refreshment, for counsel, spiritual accompaniment or quiet days: church groups come to discuss prayer and healing or to attend our various courses. By arrangement, at 12 noon, we have a House Eucharist to which you are welcome, followed by a simple meal. Please phone us in advance so we know how many to cater for. Guests are free to join in our prayer and meal times as appropriate. We have opened a new reading library. Our books are on Christian spirituality, Christian mysticism, the churches' ministry of healing, spiritual accompaniment and the classics of the Christian spiritual life, the psychic and the spiritual, and science and religion amongst other topics. Serious readers of all denominations are welcome. We also have a chapel available for guests and small groups, as well as a bedroom for retreatants or students who stay briefly. The word Sozein is a verb from the Bible signifying the setting free, delivering from danger, making safe and healing of people. It refers to God’s work on behalf of us all. It leads to making whole, thus making holy.